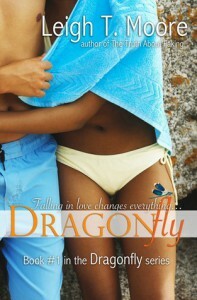 This is the first book in the Dragonfly series by Leigh T. Moore and it was a fast read. Lots of things happen and the ending was a bit abrupt but there’s another book out already so it’s hard to stay mad about all of that. I’ve read a few other books by Moore and thought I would enjoy this book as well and well, I did.This story introduces Anna Sanders who just lost her best friend right before senior year. She didn’t lose her because she died or anything like that. She just moved away, leaving Anna behind and while Anna misses her, what can she do? Anna expects that her senior year is going to be a dud because she’s all alone but much to everyone’s surprise, her senior really takes off.Anna meets the Kyser twins and is thrown into their rich world when she starts dating Jack and becomes friends with Jack’s twin sister Lucy. Anna is drawn to Jack through sheer lust and the attraction gets her every single time that she’s around him. Jack is mysterious and quiet but there are things going on with him that nobody knows about so it’s hard to trust him….but none of that matters to Anna. She likes him and she’ll take him any way that she can.But then there’s Julian Lasalle, a guy that she’s known for a while, who she considers a friend is starting to get real flirty with her …and she likes it. But Julian has always been off limits to Anna because her best friend had a thing for him and called dibs on him. 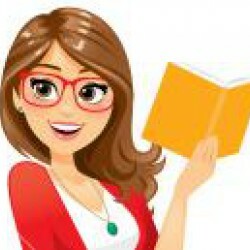 Now that she’s gone, he’s game and he’s acting like he really wants to be caught by Anna.A lot of things go down in this book and I thought it’d be hard to keep up but it wasn’t. Talbert does a great job of sucking you right into the thick of everything that’s going on and keep you there until the end. Too much happens to make you bored and before I knew what was what, I was wrapped up in Anna and the boys in her life and I was wearing my Team Julian t-shirt proudly. At the beginning, I thought that I’d be Team Jack but there was too much mystery surrounding Jack and I found that I couldn’t forgive him for all of the low-key crap he had going on.I really came to love Julian over the course of this book. I thought that whatever was happening with Julian and Anna was great and it was sweet and it’s not done. So much has yet to happen and even though I wasn’t a big fan of the ending in this book, I’m looking forward to reading the next book. I’m itching to find out what’s in those journals that Mr. Kyer gave Anna to read and I’m curious to find out how Anna deals with all of the information that she’s going to get from those journals…and I’m mighty curious to see what happens next with Julian.Lots of stuff going on but it was a fun to be apart of and I definitely recommend this book to readers of contemporary YA. This one doesn’t disappoint.Grade: 4 out of 5This review was originally posted on Book Binge. This book was provided by the publisher in exchange for an honest review.